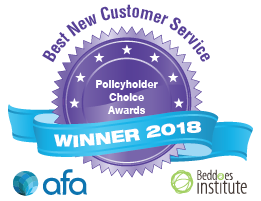 Once again, the Association of Financial Advisers (AFA) and the Beddoes Institute are proud to announce the Consumer Choice Awards which are underpinned by the Beddoes Institute’s Policyholder Perceptions Study and Claims Journey Study. These Awards are so important as they are judged by the claims customer, the policyholder and assist advisers and their clients as they choose life, trauma, total permanent disability (TPD), and income protection insurers and policies. The Claims Customer Choice Awards acknowledge the insurers that are performing best at helping claims customers return to health and wellness. In addition companies with the best claims staff, application process and the fastest turnaround time are recognised. Copyright © 2019 Beddoes Institute. All Rights Reserved.